CDT introduces ES-02DVC 2” hybrid Dual Voice Coil mid/tweeter incorporating a new parametric blend in an affordable package that puts sweet midrange with incredible detail in your vehicle locations simply and easily. Suitable for enclosed or free air use in your vehicle, these hybrid drivers provide full and rich extended midrange down to 150Hz up to a tweeter top end frequency of 20,000Hz. ES-02DVC, 2” dual voice coil hybrid mid/tweeter incorporating a new parametric blend in an affordable package that puts, sweet midrange with incredible detail in your vehicle locations simply and easily. Suitable for enclosed or free air use in your vehicle, these hybrid drivers provide full, rich, extended midrange down to 150Hz up to a tweeter top end frequency of 20.000Hz. If you’re listening tastes are for superior midrange detail with a sweet and smooth upper tweeter sound, these drivers provide optimum extended range, wider frequency range than any other driver in the market. Dual Voice Coils open the option for many kinds of installations, wire the coils in parallel for a 2 Ohm speaker. Wire left and right channel to each coil and get a nice sound blend from left and right channel all in one speaker. 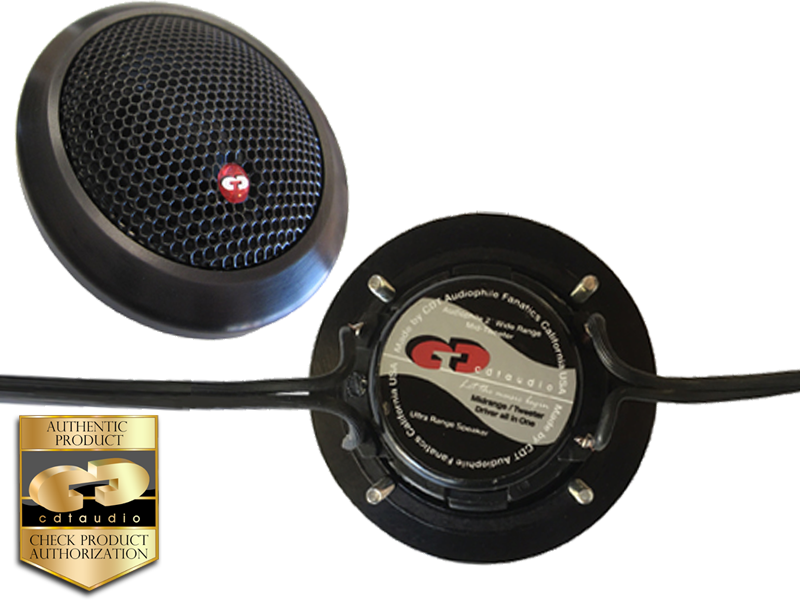 The ES-02DVC hybrid (silver housing) is a unique 2” mid-tweeter speaker that can do jobs nothing else will touch. This driver is more extended and has a special hand coated cone and dust cap for assurance it will reach frequency response up around 20kHz. The newly designed ES-02DVC hybrid performs better power response (more dispersion at the highest frequencies than any 25mm dome tweeters). It can, however, reach 150 Hz at the low end although using it this low would be a power-handling problem. We recommend using it from 250Hz and up. Designed and built to deliver accurate and natural clean sound never heard before from a 2” driver.